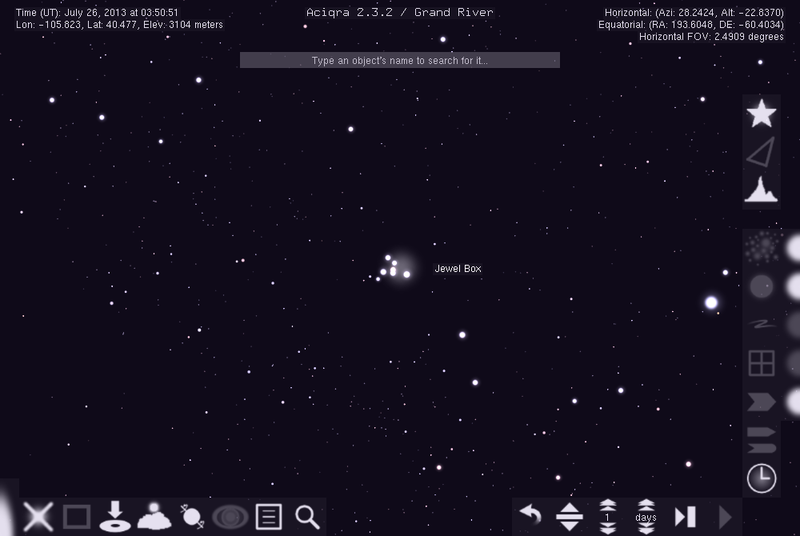 Aciqra 2.3.2 Free Download - A virtual planetarium for observers of the real sky. A virtual planetarium for observers of the real sky. Aciqra is a virtual planetarium and sky mapping program which tracks celestial bodies including planets, deep sky objects and stars to an accuracy of a fraction of a degree for thousands of years into both the future and the past. It includes the 2.5 million stars of the Tycho-2 catalog supplemented by data of 120,000 stars from the Hipparcos catalog, 13,000 deep space objects from the NGC and IC catalogs and a large number of asteroids and comets from the Minor Planet Center. The program is platform-independent and can be made to work on most modern computers that support OpenGL. Statement: First, please download the orginal installation package by clicking the download link. Of course you may also download it from the publisher's website. Using Aciqra crack, key, patch, serial number, registration code, keygen is illegal. The download file hosted at publisher website. We do not provide any download link points to Rapidshare, Hotfile, Depositfiles, Mediafire, Filefactory, etc. or obtained from file sharing programs such as Limewire, Kazaa, Imesh, Ares, BearShare, BitTorrent, WinMX etc. Software piracy is theft. If you like Aciqra please buy it.